No sé que contaros de esta canción…Fue la de mi boda, qué más puedo decir…No os aburriré con quien, la compuso o las veces que fue remasterizada, con esta canción sólo quiero daros unos ejemplos del calado y la aceptación que la misma ha tenido entre el público. La versión de Etta James ha sido utilizada en varias películas y series de televisión. Por ejemplo… en Pleasantville.También fue utilizado en American Pie en una de las primeras escenas de la película, en la que Jim se acerca a la estudiante Nadia(Shannon Elisabeht) en una fiesta.. Además, la canción fue utilizada en la película de 1988 Rain Man, en la escena en la que Charlie, está enseñando a su hermano Raymond cómo bailar. Un breve video de la canción (Etta James) se escucha en la serie de televisión Los Simpson ; cuando Marge arranca la máquina de discos de la pared en la taberna de Moe. En el primero de muchos bailes inaugurales para el presidente Barack Obama el 20 de enero de 2009, Beyoncé Knowles cantó At Last y también la interpretó al recoger su premio Grammy por la interpretación de la canción en la película de 2008 Cadillac Records, en la cual Beyonce interpretaba a Etta James. Fue utilizada en el trailer de la película de 2008 Wall - E. Tambien Existen versiones de Cristina Aguilera o Celine Dion entre otras. In the final scene of the May 10, 2004 series finale of the UPN sitcom The Parkers, Kim Parker (Countess Vaughn) sings the song following the wedding of her mother Nikki Parker (Mo'Nique) and the longtime object of Nikki's affection, Professor Stanley Oglevee (Dorien Wilson). Appropriately, the episode is entitled "At Last." The Etta James version is used in several movies and television series. Her version of At last is in the 1998 film Pleasantville, appearing in the score behind the decisive scene when the pink 1950s-era Buick convertible carries the newly enlightened kids down to the park by the lake in a gentle shower of pink blossoms. It was also used in American Pie in one of the early scenes of the film where lovestruck Jim approaches foreign exchange student Nadia at a party. In addition, the song was used in the 1988 film Rain Man in the scene where Charlie is teaching his brother Raymond how to slow dance. 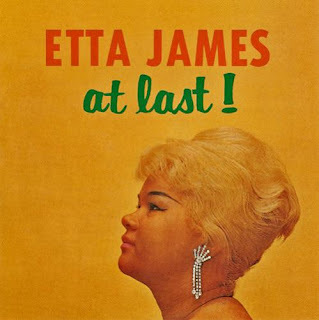 The Etta James version was featured in an almost silent episode of Two Guys and a Girl. A brief clip of the song (Etta James) is heard on Strong Arms of the Ma of the TV series, The Simpsons, when Marge rips the jukebox out of the wall at Moe's Tavern. 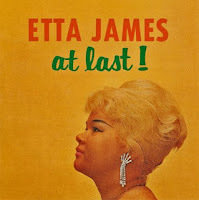 The Etta James version is also used in the Chuck episode Chuck Versus the Wedding Planner. The movie Little Manhattan also features this song in the wedding scene. The song was used in FOX's post-game coverage of Game 4 of the 2004 World Series when the Boston Red Sox ended an 86-year championship drought. Ventriloquist Terry Fator won the summer 2007 season of America's Got Talent largely on the strength of his performance of the song with his puppet "Emma Taylor". At the first of many inaugural balls for President Barack Obama on January 20, 2009, Beyoncé Knowles performed At Last live for the President's and First Lady's first dance, reprising her Grammy-winning performance of the song in the 2008 film Cadillac Records. The song is covered by R&B/jazz artist Felicia Loud in the 2007 feature documentary "Inlaws & Outlaws", directed by Drew Emery. Kevin Michael performed a cover of the song during the wedding scene in the 2009 film (500) Days of Summer. In the 2009 series of The X Factor, Stacey Solomon performed this song on Diva Week. The performance received mixed reviews from judges, Dannii Minogue and Chery Cole both enjoyed it but Simon Cowell said she was out of her comfort zone. It was used in the trailer for the 2008 film Wall-e (Etta James Version).